Robert Palmer Hopkins, age 71, passed away Monday, November 19, 2018 at the VA Hospital in W. Roxbury. He was the son of the late Frederick and Helen (Wall) Hopkins. Bob was born on January 30, 1947 in Cambridge and was a graduate of King Phillip High School in Wrentham. He proudly served his country during Vietnam on the USS A.H. Repose, a navel hospital ship in Da Nang Harbor. He was a long-time employee of the Foxborogh Terminals and later was the manager of the VFW in Mansfield. Bob enjoyed fishing and most enjoyed time spent with his family. 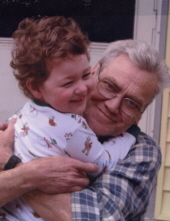 He was a loving and devoted father and grandfather. Beloved father of Jennifer and her husband Michael McCarthy of Foxborough and Tracy Watjen of Mansfield. Devoted grandfather of Aidan. Brother of Donald Hopkins, Teddy Hopkins of Hawaii, and the late Barney Hopkins. Relatives and friends are invited to attend calling hours on Friday, December 7 from 4 to 7 PM at the Roberts and Sons Funeral Home, 30 South Street, Foxborough. A Celebration of Life will be held at the conclusion of calling hours. For additional information please contact 508 543-5471. To send an on line condolence please visit the funeral home web site at www.robertsandsonsfuneralhome.com. In lieu of flowers donations in Bob’s memory may be made to Foxborough Veteran’s Services, 40 South Street, Foxborough, MA 02035. "Email Address" would like to share the life celebration of Robert Palmer Hopkins. Click on the "link" to go to share a favorite memory or leave a condolence message for the family.